After having watched the excellent Valkyrie (here is my review), starring Tom Cruise, I wanted to see how the Germans had treated the very same story just a few years prior to the US production. 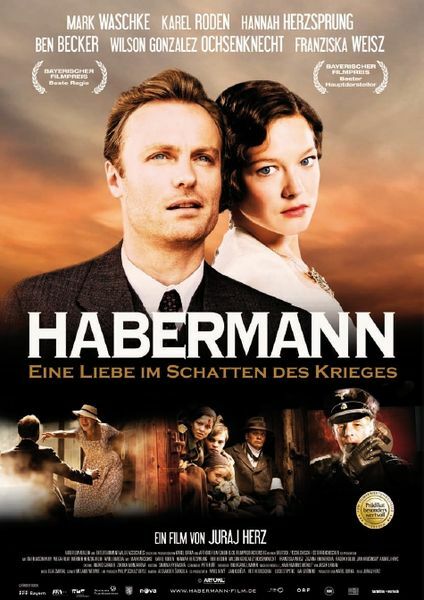 Stauffenberg is a TV production, starring Sebastian Koch (Black Book, Das Leben der Anderen) as Stauffenberg. Ulrich Tukur (Das Leben der Anderen, The White Ribbon) can be seen in the role of Henning von Tresckow. While Carice van Houten who played Stauffenberg’s wife in Valkyrie looks very different from the real Nina von Stauffenberg, Nina Kunzendorf’s likeness is uncanny. I don’t think it’s of any use to summarize the movie. Since it’s a true story the plots of the two films are almost identical, however there are some significant differences in the way the story is told which make it worthwhile to compare the two movies. The title Stauffenberg already indicates that the focus is much less on Operation Valkyrie than on the man Stauffenberg himself. And that’s actually the biggest problem of this TV production. It is quite confusing and for someone not familiar with the story, it isn’t clear what Operation Valkyrie is. I was glad I had seen the US film first or I would have been a bit lost as I wasn’t familiar with the whole story. 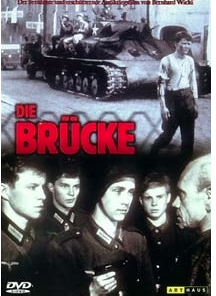 While Valkyrie starts with Stauffenberg in Africa, it starts much earlier in this film. We see Stauffenberg first in Berlin, whit his fiancée and future wife Nina, later he is in Poland and only then in Africa. This helps to understand his motivations and his development from someone who believed in Hitler to somebody who was entirely disgusted and ready to kill the man. What worked far better in this TV production is to make us understand why the assassination failed. The characters in this film are portrayed as determined but they are no sleek robots. There are many mishaps and they are far from perfect. We even get the impression that they were a bit too hasty and that the whole project would have needed more planning. In Valkyrie we don’t really understand why it doesn’t work. Everything seemed so perfect. What also worked far better here is the human and emotional dimension. These people are scared. They are determined but anxious as well and when they are caught, things do not go well. One of them isn’t even capable of shooting himself, he misses first, tries again, ends up badly wounded and has then to be shot by someone else while in Valkyrie he puts the gun to his head, shoots and is dead right away. While far from perfect and not as carefully – and one would argue artificially -orchestrated as Valkyrie, Stauffenberg feels emotionally true and is very watchable. If you didn’t like Tom Cruise you might even prefer this smaller scale production. What a surprisingly good movie. I discovered it purely by chance and didn’t expect much but it was well worth watching. The central theme of Nacht fiel über Gotenhafen aka Darkness Fell on Gotenhafen is the tragic sinking of the huge cruise ship Wilhelm Gutsloff. The Wilhelm Gustloff was named after a famous Nazi leader. In the final days of the war it was used to transport refugees from Eastern Prussia to safer German territory. The disaster of its sinking is called by some “the unknown disaster” and if it weren’t for websites like WM.S. Wilhelm Gustloff-The Unknown Disaster it would probably stay widely unknown outside of Germany. The Gutsloff was torpedoed by a Russian submarine and sank with over 6000 people on board. Most of them died, among them 4000 children. The sinking of the Wilhem Gutsloff is seen today as one of the symbols of the Downfall of the Third Reich. Before watching I thought the whole movie would focus on the final hours but that wasn’t the case and that’s why it was such a great movie. Apart from a few melodramatic elements in the beginning, it’s surprisingly well done. Another main theme of Darkness Fell on Gotenhafen is the situation on the home front, what the women and children had to endure during the war in the city. The film tells the story of one woman and starts with a ball on the Wilhelm Gutsloff on her maiden voyage as a cruise ship. Maria is engaged to Kurt but Hans is in love with her as well. Later, during the war, Maria and Kurt are now married and Kurt is fighting with the army, Hans, who is officer on a ship, is visiting the city and meets Maria. He is still in love with her and seduces her. 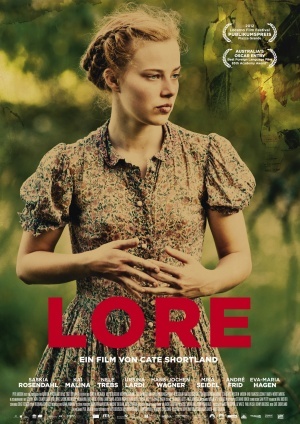 She gets pregnant and afraid of the reaction of her husband and because the city is constantly bombed, she flees to a friend in the country, somewhere in East Prussia. She meets a group of interesting characters, a French POW and the widow of a an Army General. Maria and her friends believe at first that they are safe in Prussia. They are far from any front and assume the war will soon be won. When tales of the Russian approach are heard, they don’t believe them at first until it becomes certain that Germany is about to lose the war and the Russians approach fast. Hans who wanted to see his son, has been staying with them for a while. He tells them about the Gutsloff that will evacuate a great number of women and children. He can convince them that they have no other chance. Finally they abandon the house and flee together with many others to the Gutsloff. The Russians have already arrived and kill and shoot people. The ship waits the whole night until it is allowed to sail. Nobody sees any danger. They think the Russians are still too far away and fought back by the German fleet. When the ship finally sails it is soon torpedoed. The ship sinks fast, too fast for most of the passengers. One could say, the movie has five parts. Each part focusses on other elements of the war. First the war is only a foreboding, then we see how the civilians in the cities struggle, the fear and loneliness of the women, how many flee to the country and how they still believe the war can be won although its lost already. The moments on the ship are excellent and tell quite a few mini-stories. The end is done very well too, dramatic but not melodramatic. I was surprised that there were such a lot of strong female characters in a 60s movie. Brigitte Horney, one of the great German actors, is outstanding in her role as widow of a General. 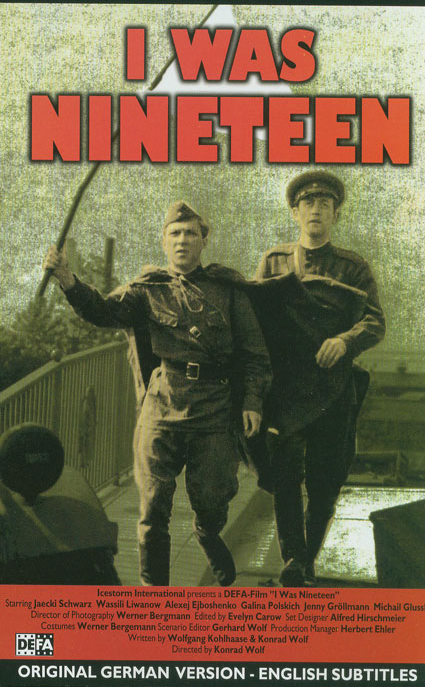 The movie has an English title but I have no idea whether it has been subtitled or not. And there was no trailer to be found. If you understand German, you can watch it on YouTube.